MERRY CHRISTMAS! 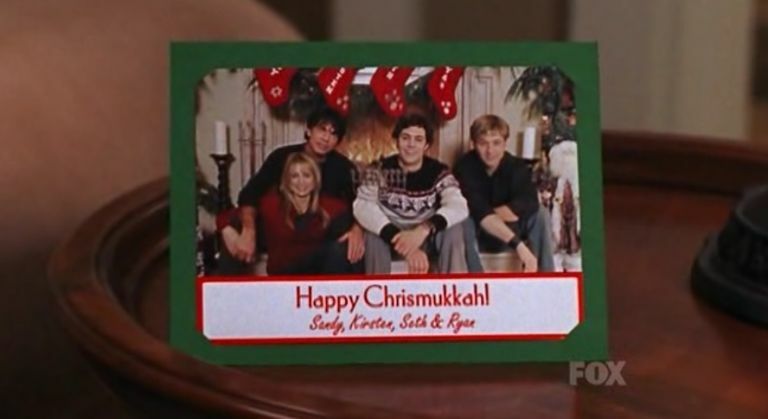 Or as Seth Cohen would say Merry Chrismukkah! It’s safe to say no show does the holidays as well as The OC. There is a Chrismukkah episode in every season, and all four of them show Orange County at its best. Grab your yamaclaus, OC DVDs and enjoy the shoplifting, comas and Bar Mitzvah videos.